This donation will buy presents for more than 185 kids who would otherwise wake up Christmas morning and not have any presents under the tree. Globe Santa gives six presents to each child — a book, three games or toys, a stuffed animal and a cookie from Dancing Bear Cookies. 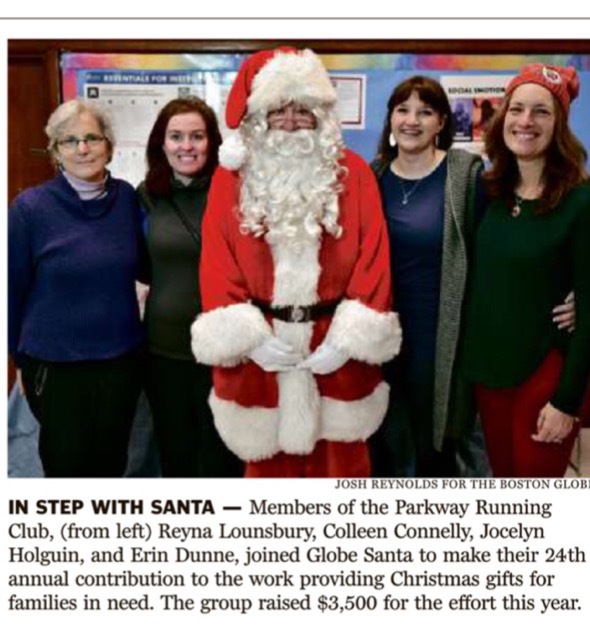 Globe Santa will provide presents to about 45,000 kids in the Greater Boston area, including 1,000 children in the West Roxbury, Jamaica Plain and Roslindale area and about 200 kids in West Roxbury alone. Many thanks for helping out – through your efforts, many kids in your community will wake up on Christmas morning with smiles on their faces instead of feeling left out.